Minimalistic design reduces the total weight to only 1.4kg. Perfect for traveling. Due to the belt gear reduction, there is no mechanical backlash which could ruin your sequence. With just a few adjustments, you can turn the head into turntable. 2 products in 1. The motors are equipped with sockets. So you are able to choose the right cable depending on your current needs. The low gear reduction will enable you to move the head very fast. 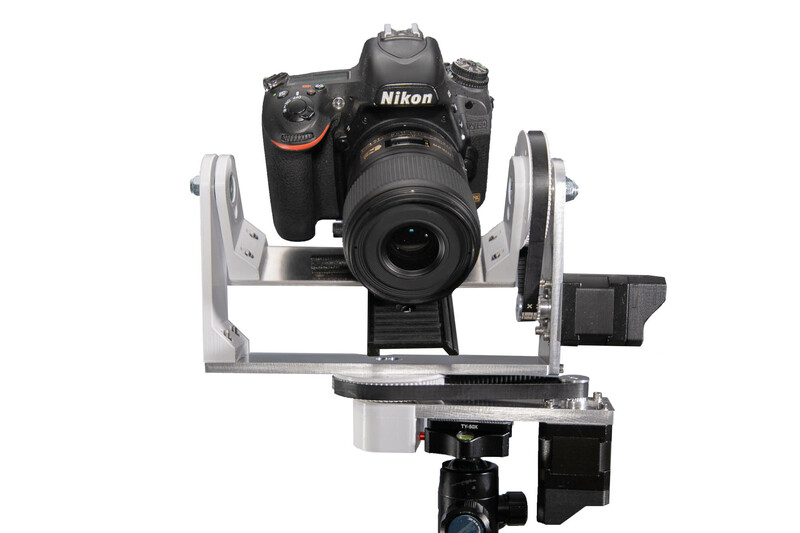 This comes handy for panorama photography or slow-motion videos. 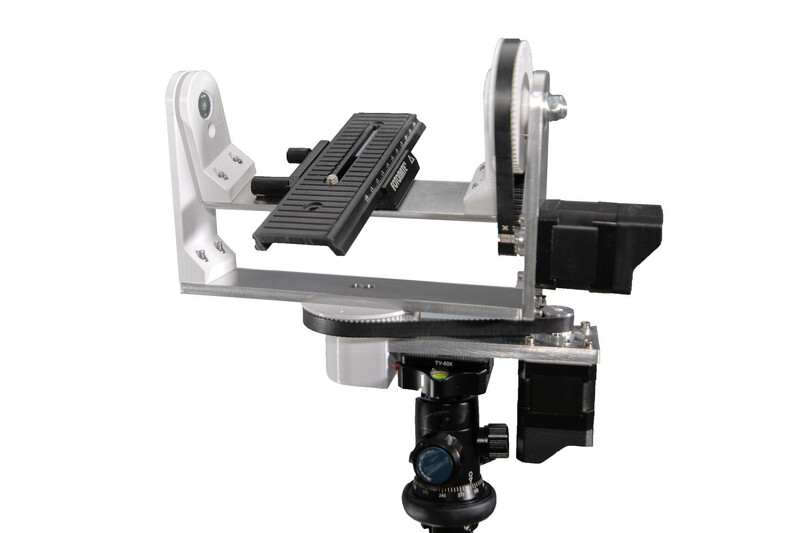 The use of ball bearings for both axis will make the motion smooth and quite. The pan motor is attached below the mounting surface for the ball head. This will increase stability of the whole setup. The motors are equipped with 4-pin mini-XLR sockets. 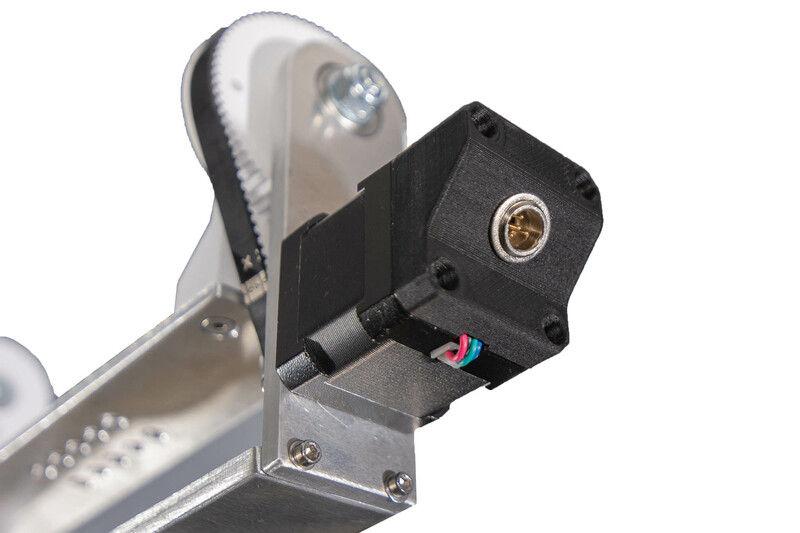 You can connect the motors to any stepper motor control unit with the according cable. What is the maximum camera size? 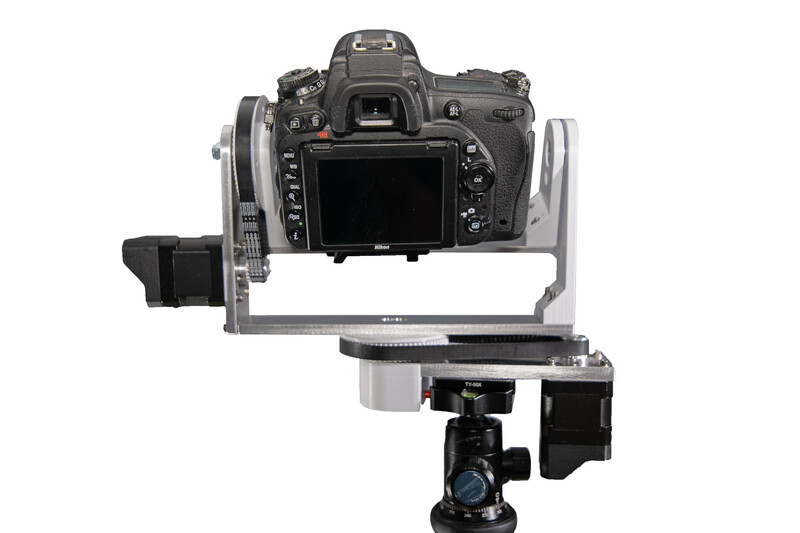 You can mount any usual DSLR camera with almost any lens. You only have to pay attention when usind tele lenses, since the tilt movement might cause some physical limits. What motors are used and how are they controlled? The PureHead uses standard NEMA17 stepper motors. We have fitted those standard motors with a 4-pin miniXLR-socket, so you can detach the motor cable and pick the right cable for your application. The PureHead can be controlled by any stepper controller, but of course we recommend using our PureControl. Where are the limits of the PureHead? The PureHead has a low gear reduction (1:4.5). This works very good for most application. But due to this low reduction, the PureHead will not provide high torque. So this will mean, that you will not be able to setup your camera off-center, like for nodel-point shooting for panoramas. You could tweek around by using counterweights, but otherwise you should keep the camera always centered. If you are planning to shoot with high focal length, so also might want to consider a different solution. The low gear reduction will result in a low resolution. But this can be ignored for most cases, since the drivers in the PureControl will interpolate the movement and make it smooth as possible.